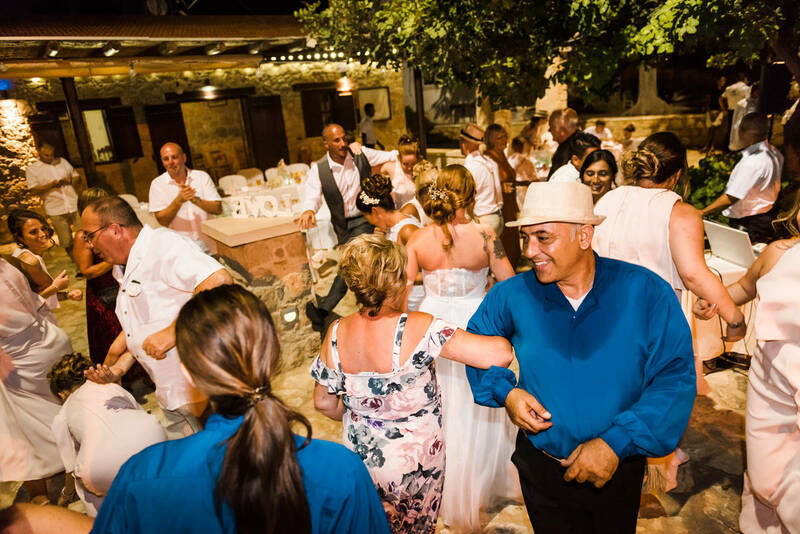 When in Cyprus, do as the Cypriots do!! 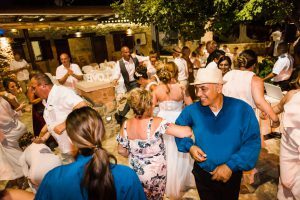 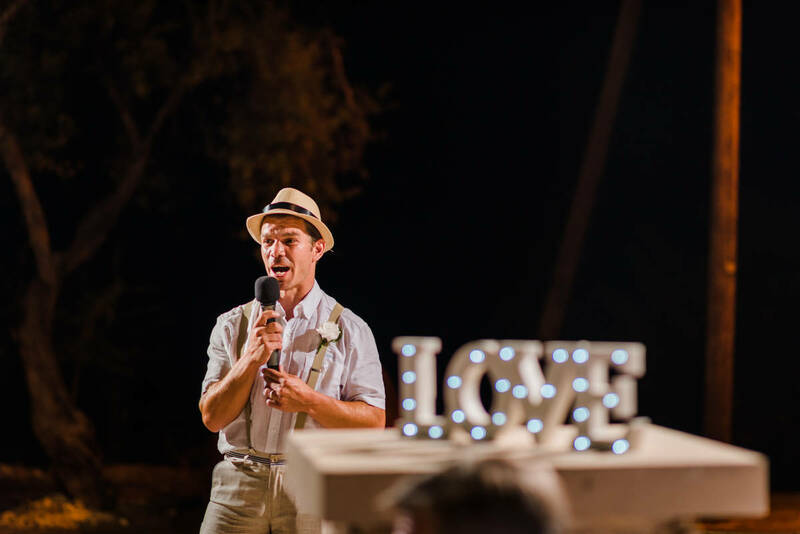 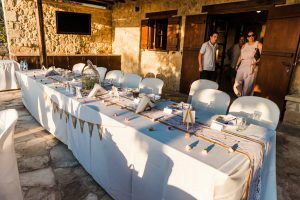 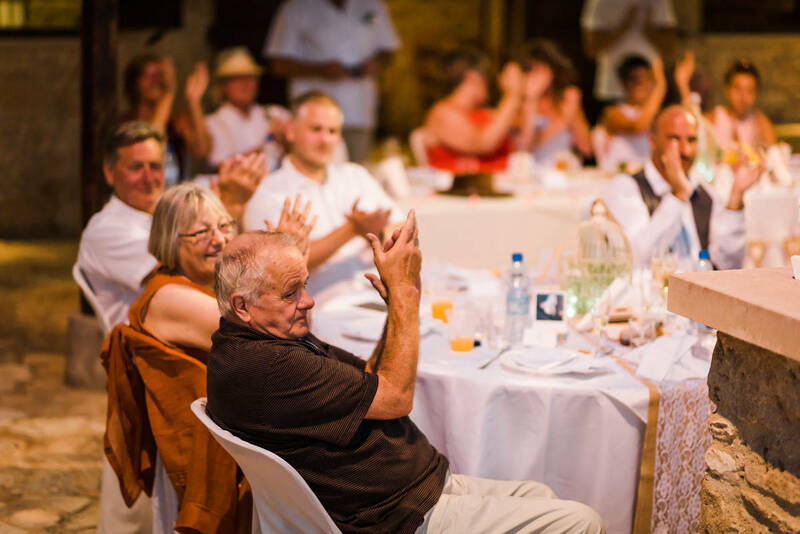 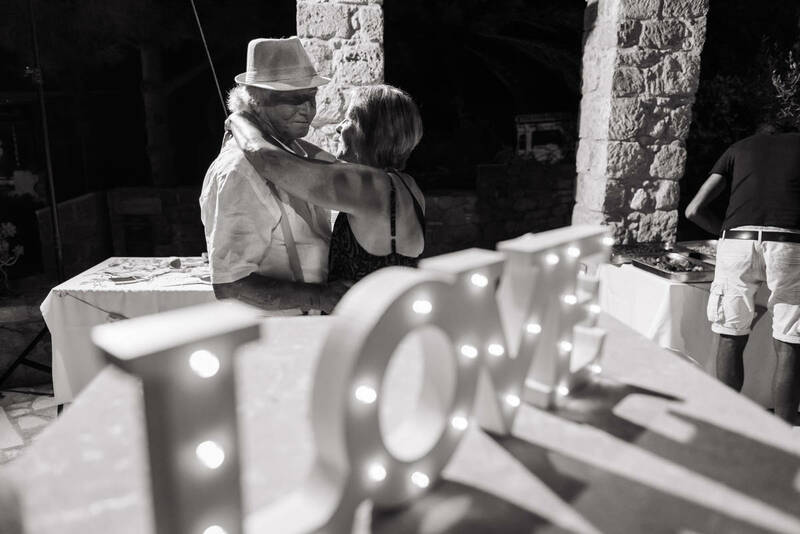 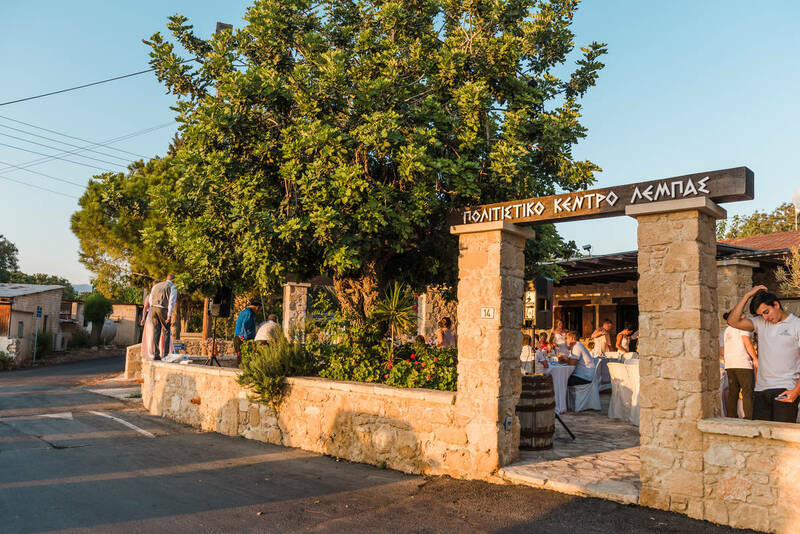 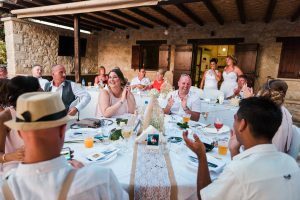 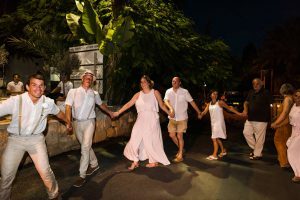 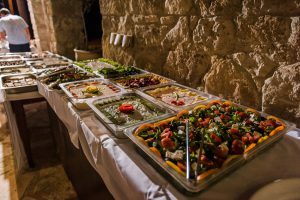 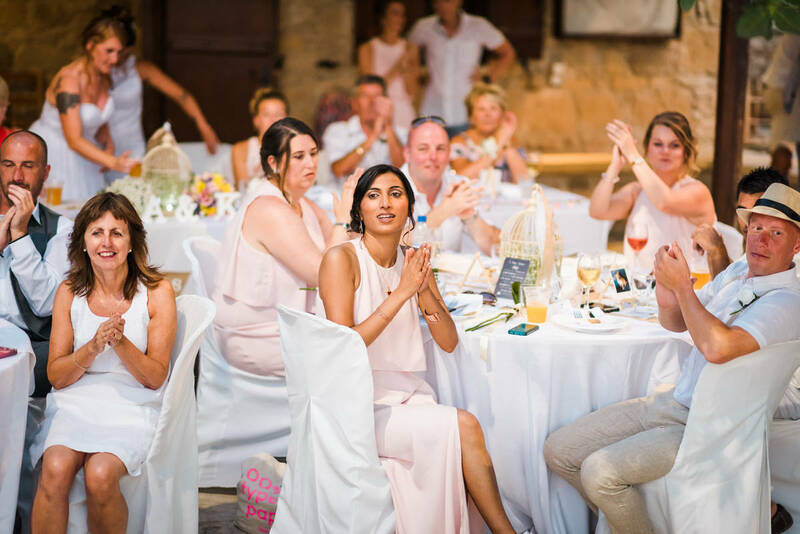 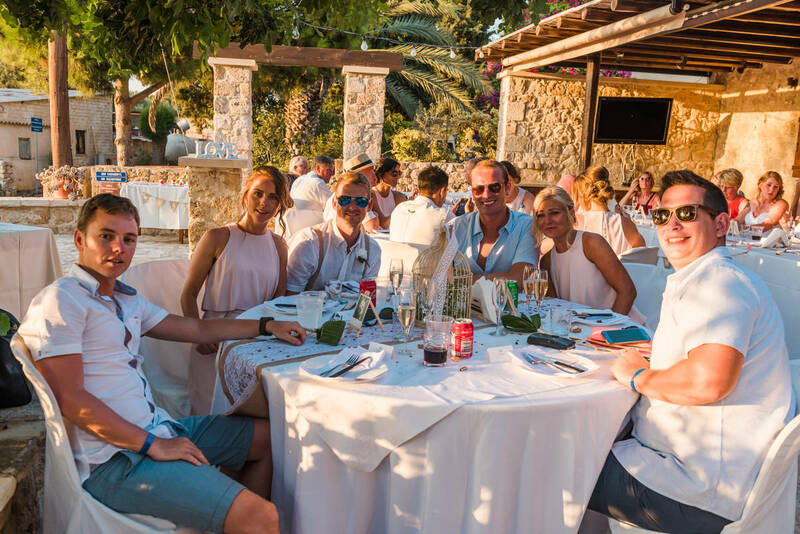 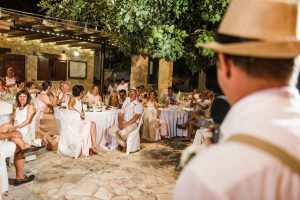 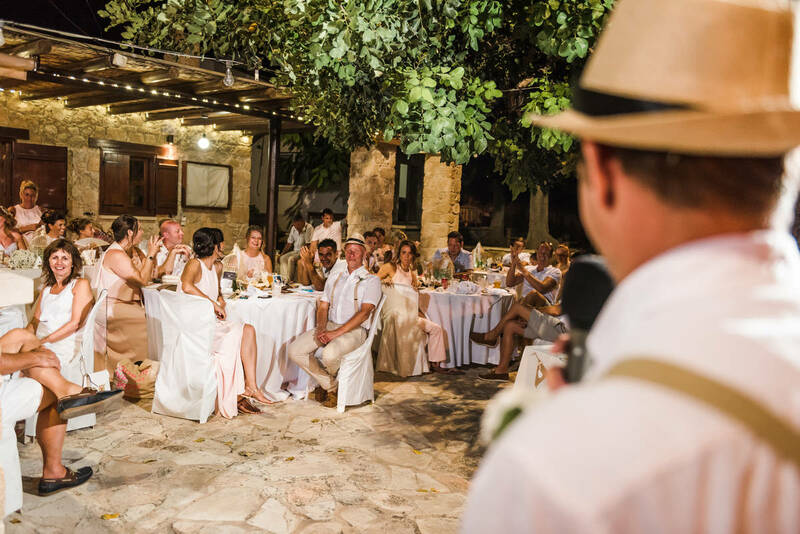 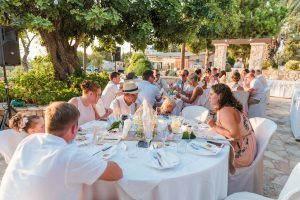 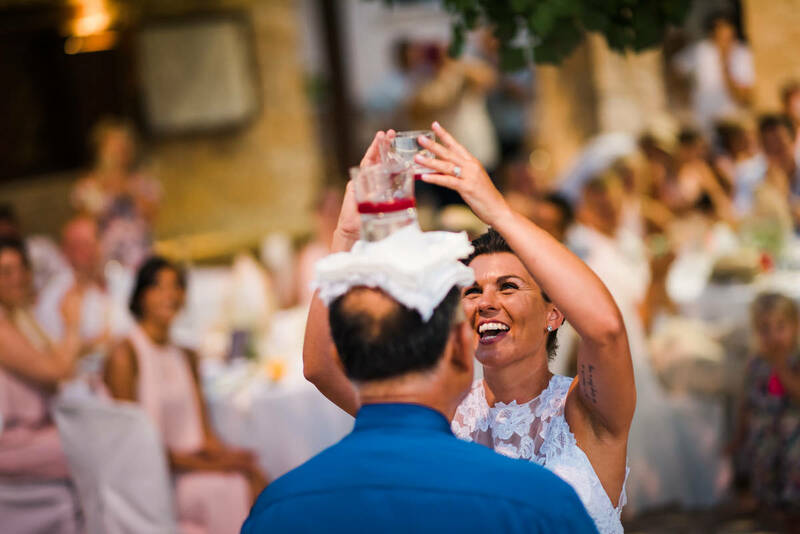 Treat your party to an evening together Cyprus style at this traditional Taverna. 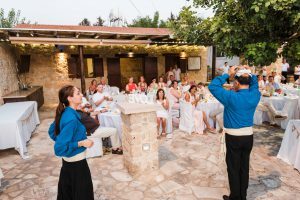 Set away from the tourist area and offering a traditional Meze which consists of twenty dishes and unlimited house wine and soft drinks. 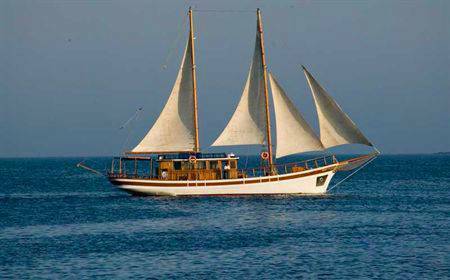 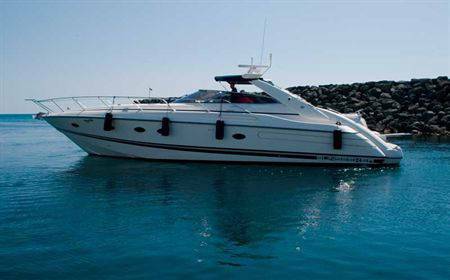 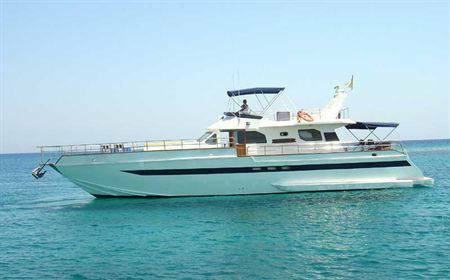 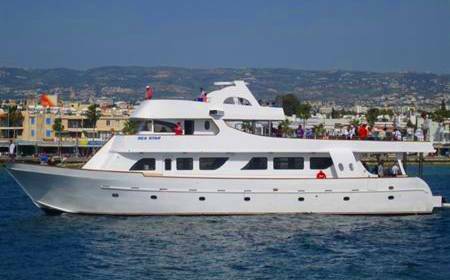 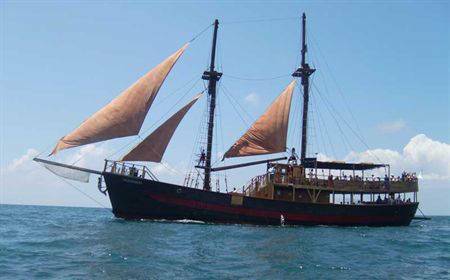 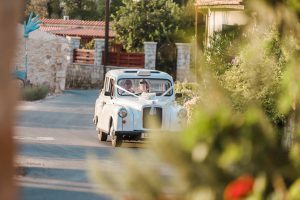 Includes transport within Paphos and return. 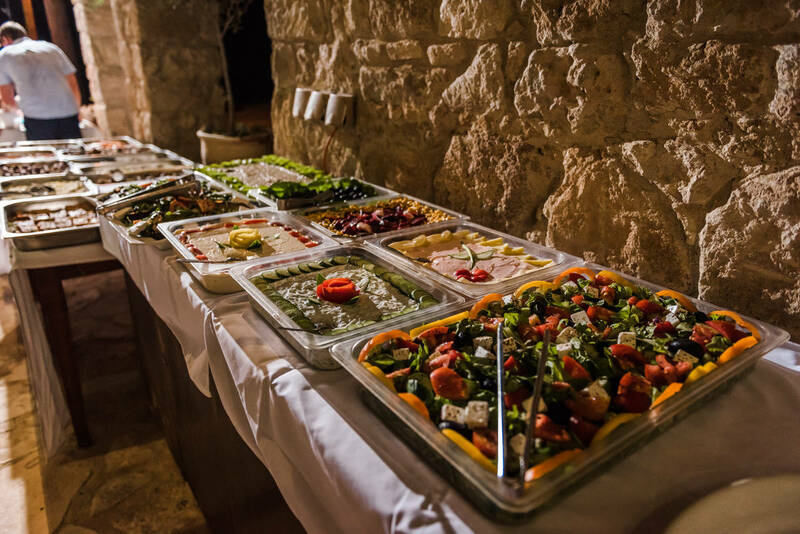 A must for you and your guests either as a thank you or simply for a get together! 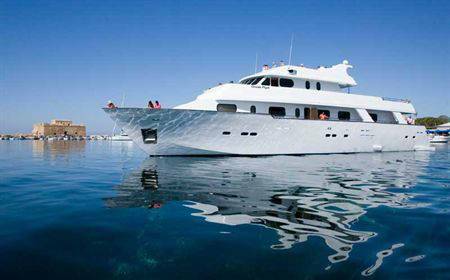 €40 per person. 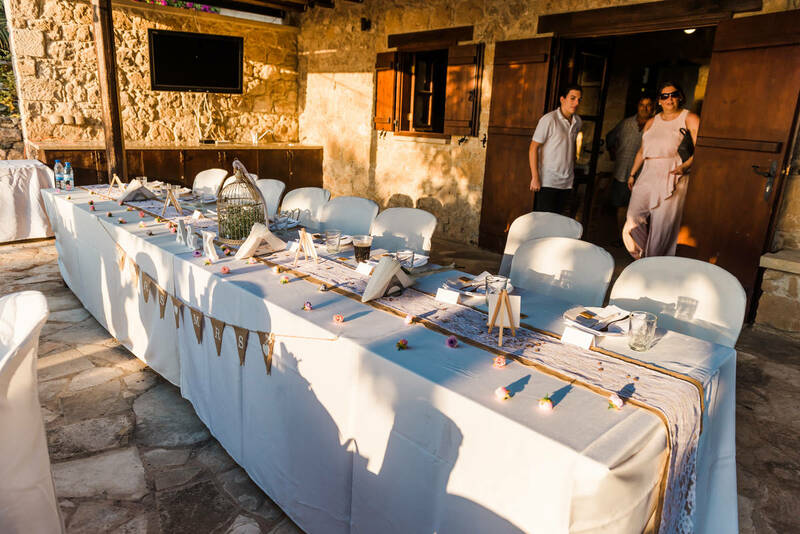 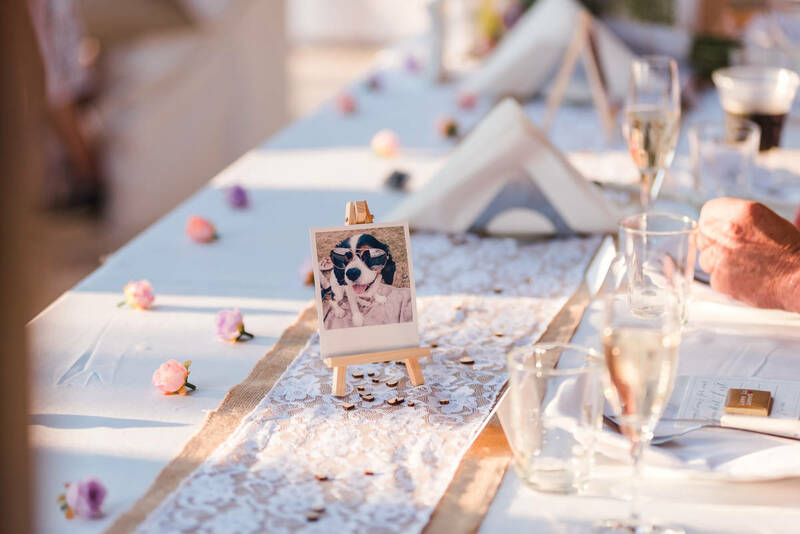 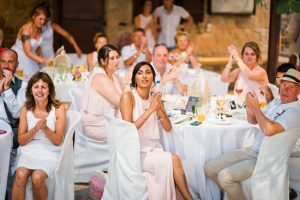 Minimum of 10 persons includes food, unlimited house wine and soft drinks and transport and basic table decorations, with white chair covers too! Family run business, homemade cooking, scrumptious food and plenty of it served as a buffet style so you can keep going back for more. 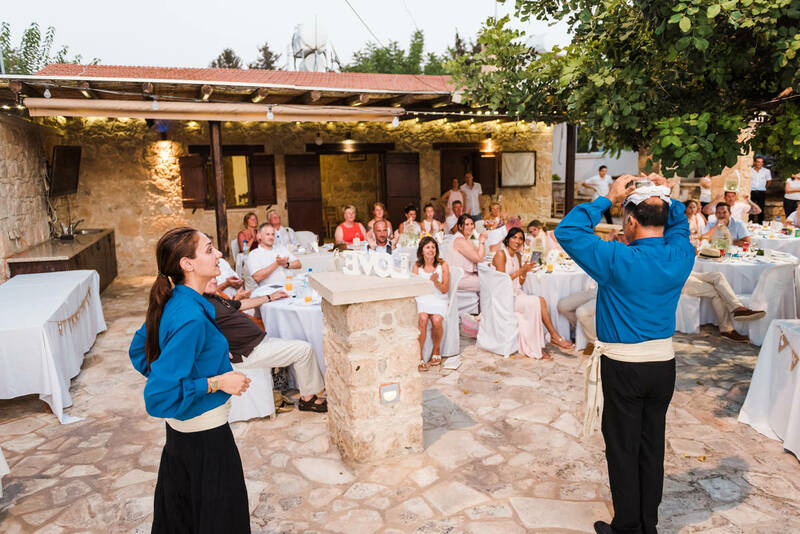 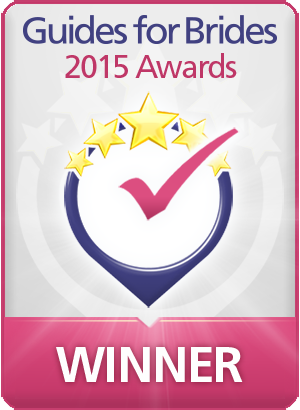 The service is swift, friendly, and most importantly – reliable. Immediately after being seated at your table, you’re presented with the house wine and soft drinks, an unlimited local bar can be paid for extra charge.